Home to the Bishops of Bath and Wells for 800 years this stunning medieval palace is open for all to enjoy. 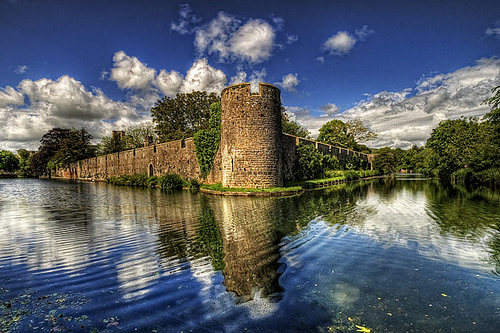 Surrounded by a breath-taking moat you can cross a flagstone drawbridge, under the portcullis and experience a true hidden gem in the heart of the City of Wells. There are also 14 acres of gardens to explore, including the beautiful well pools from which the city takes its name, family events, guided walks, gifts from the shop and perhaps even a slice of cake with your afternoon tea. You are also welcome to look around the Bishop’s private Chapel, explore the ruined Great Hall and meet the famous mute swans who live alongside the moat and ring a bell when they want food.